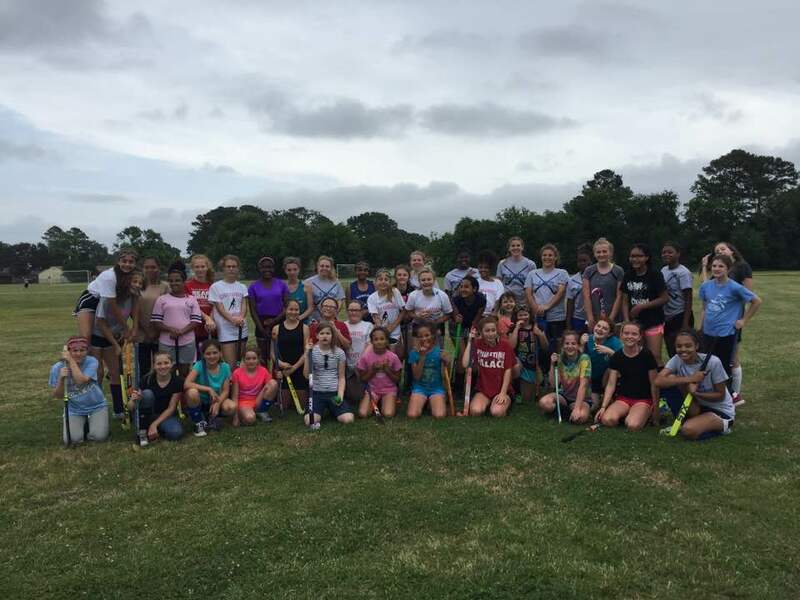 In an effort to encourage girls in our local community to play sports, we have begun hosting field hockey and softball clinics. These clinics are at no cost to the participants and we provide all the necessary equipment for the duration of the clinic. Our goal is to encourage girls in our community to participate in sports no matter what their background is. We want to give every girl who wants to play the opportunity to do so. Our first clinic was held on May 20, 2017 and we hosted almost 50 girls from the community. We will be hosting field hockey and softball clinics at various times throughout the year. Stay tuned here and on our Facebook page for events dates and registration information. If you are interested in volunteering or sponsoring for any of our clinics, please contact us. We are always seeking donations or sponsorships to assist with covering the cost of equipment along with food and drink (water/sports drinks) for our clinics.